Nature has always had the answers! Vatika’s philosophy is that beauty comes from the heart. 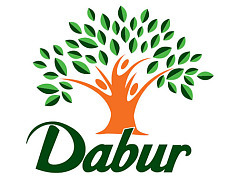 Part of the Dabur Group founded 130 years ago, Vatika prides itself on the importance of nature and using its amazing powers to keep our hair healthy and looking its best. Vatika is all about hair; not just how it looks, but how it feels, smells and, most importantly, how it makes YOU feel. Not only does Vatika’s hair products provide natural nourishment to provide body and radiance to your hair, they are made to care for your hair. Your hair face many challenges on a daily basis. Cold conditions can deprive it of moisture whilst wind and rain can cause frizziness and tangling. Then there's the worry of dandruff if you're wearing black, not to mention the concerns about hair fall whenever you're wearing white. The solutions to these and the other hair problems have always existed in the nature that surrounds us and for centuries Indian women have made use of the ingredients available in the natural world for the benefit of their hair which has long been admired as a symbol of beauty for its length, fullness and shine. Vatika's extensive range of Hair Care products provides natural nourishment for all hair types, providing both body and radiance whilst taking care of the crtitical balance of nutrients that are required for health and vitality. Enriched with the goodness of herbs long associated with healthy hair they work effectively to give both hair and scalp complete nourishment for that problem free and radiant crowning glory. Whatever particular care of remedy you need to provide, our website will help you select exactly the right product for your hair type and problem. So, for naturally healthy, problem-free hair, look to nature, and VATIKA!